Want to be a better crocheter? Check out some of these neat crochet tips and tricks to improve your skills! 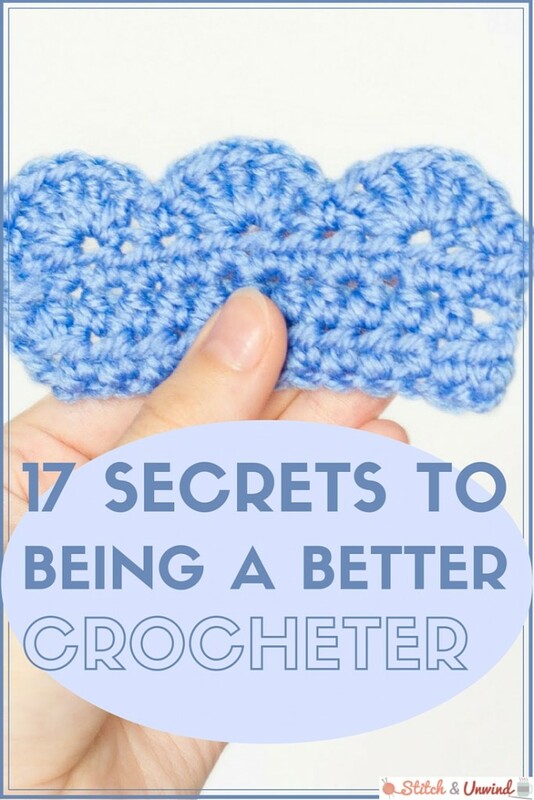 Secrets to Being a Better Crocheter: 17 Crochet Tips and Tricks is the ultimate guide for lovers of crochet. All of these techniques are super easy and fast to do. I’m always surprised to find how the little things can make such a big difference in crochet, especially crochet for beginners. This list has some of the most helpful crochet tips and tricks I’ve seen, so let’s take a look! Improving your yarn organization and storage are really simple things you can do to make crocheting a bit easier. Make your own plastic yarn organizer for tangle free yarn out of a bin in your house! It’s cheap and Eco-friendly! These organization crochet tips and tricks can be a lifesaver when you don’t have the time to deal with messy, tangled yarn. These yarn crochet tips and tricks are awesome all across the board. Don’t you love when an afghan is nice and worn in? Find out how to get rid of that original stiffness! If you’re unsure about the colors a crochet pattern is using, choose your own with the help of the Yarn Color Theory Tutorial and color wheel. Although crocheting can be extremely beneficial for both mind and body, sometimes our joints just can’t take it. Read up on 5 common crochet health concerns and how you can defeat them. This guide will help you combat eye, neck, and back strain. You’ll never have to take a break from crocheting again! These amazing beginner crochet tutorials are perfect for people who are just learning how to crochet certain stitches. With great step-by-step photo instructions, anyone could learn these techniques! Crochet for beginners has never been as fun and easy than with these awesome crochet tips and tricks. Want more? Then be sure to take a look at 20+ Crochet Tips and Tricks: Secrets for Getting Better on AllFreeCrochetAfghanPatterns. What’s your favorite crochet tip?